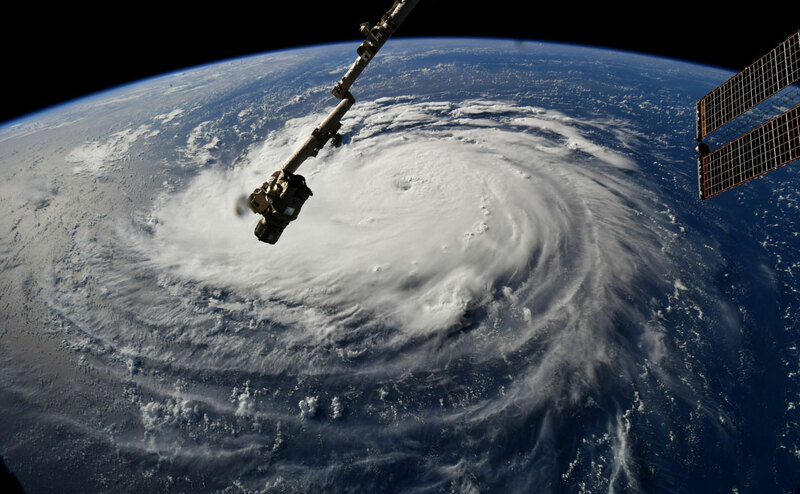 At approximately 400 miles/640 km in diameter (roughly the size of ‘4 Ohios‘), Hurricane Florence is making its way to the continental US and is currently forecasted to reach land Thursday evening and ‘stall’ over North and South Carolina until Sunday. 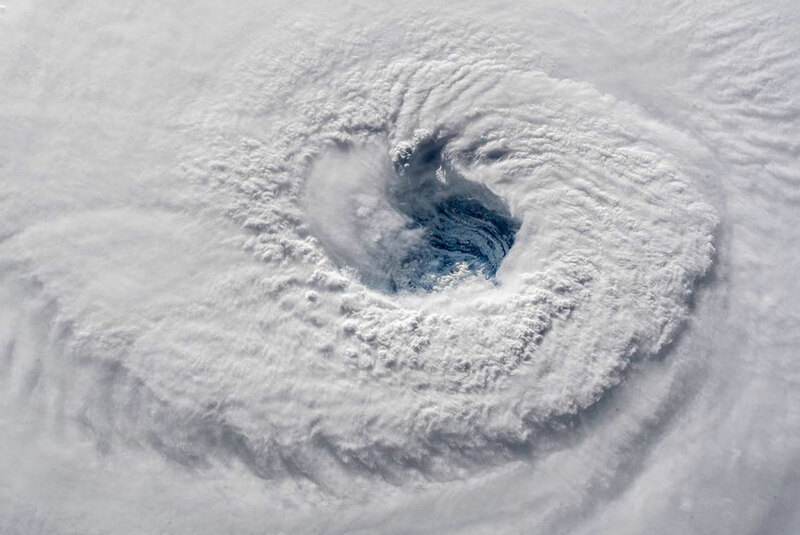 According to the National Weather Service, Florence is expected ‘to produce total rainfall accumulations of 20 to 30 inches (50-76 cm) with isolated maximum amounts of 40 inches (101 cm).’ With this amount of rainfall the potential for severe flooding is high. 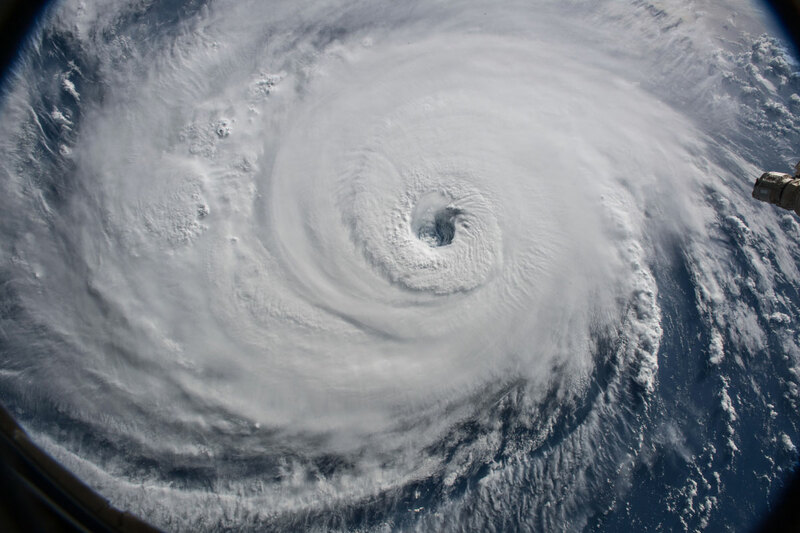 The winds and low pressure of Florence could also produce a tsunami-like storm surge, with ocean water rising up to 20 feet higher than sea level in some areas. 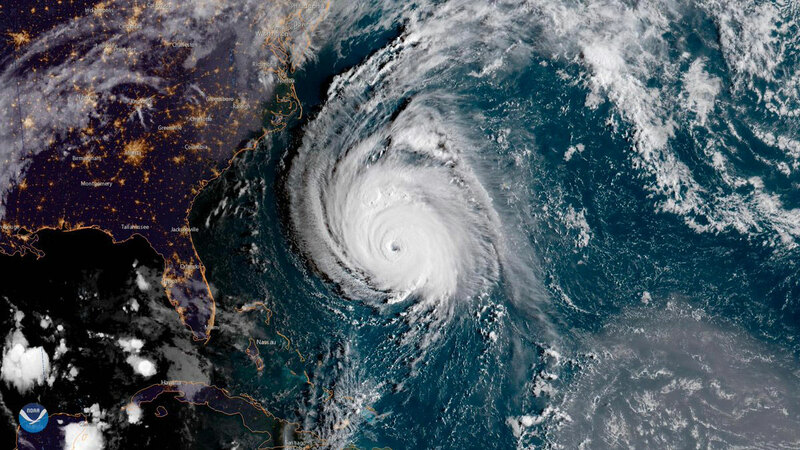 As of Tuesday nearly 1.7 million people in North Carolina, South Carolina, and Virginia have been warned to evacuate the coast. 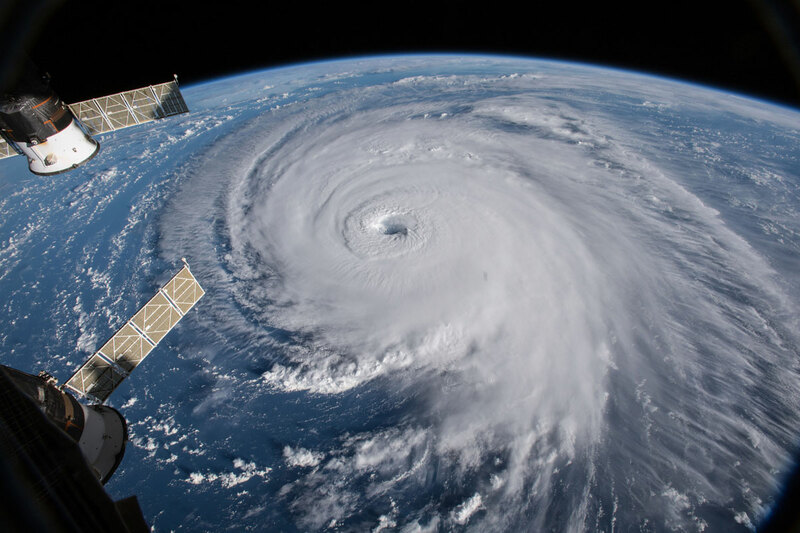 Below you will find images taken from the International Space Station and the NOAA GOES-East Satellite that give a terrifying sense of the size of Hurricane Florence. 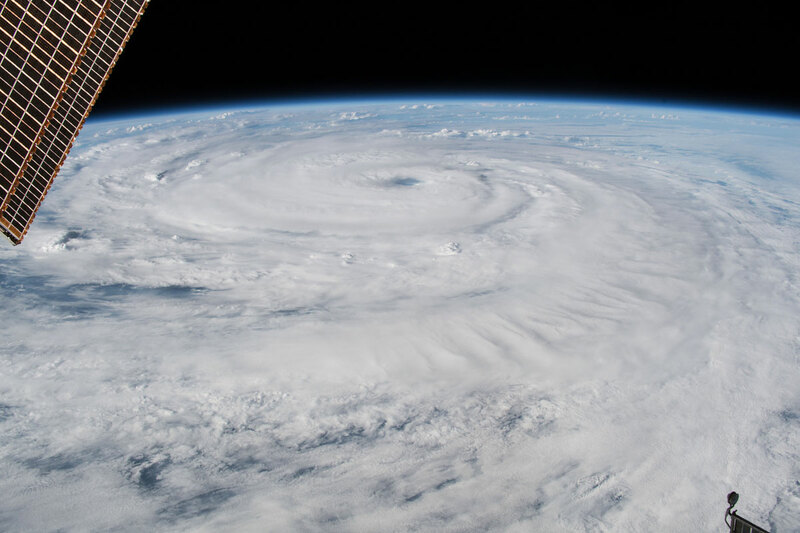 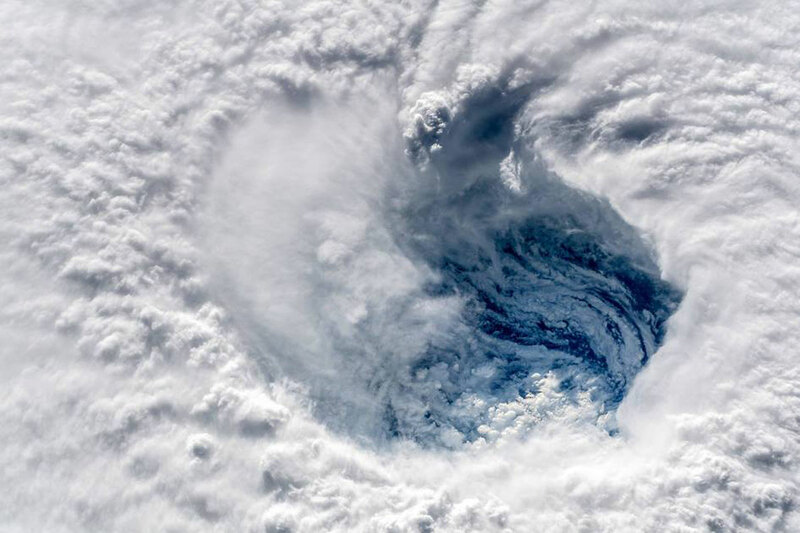 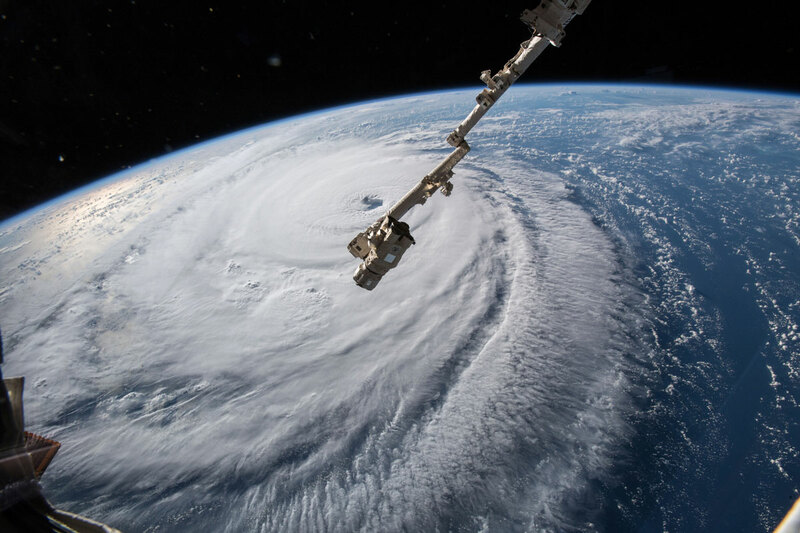 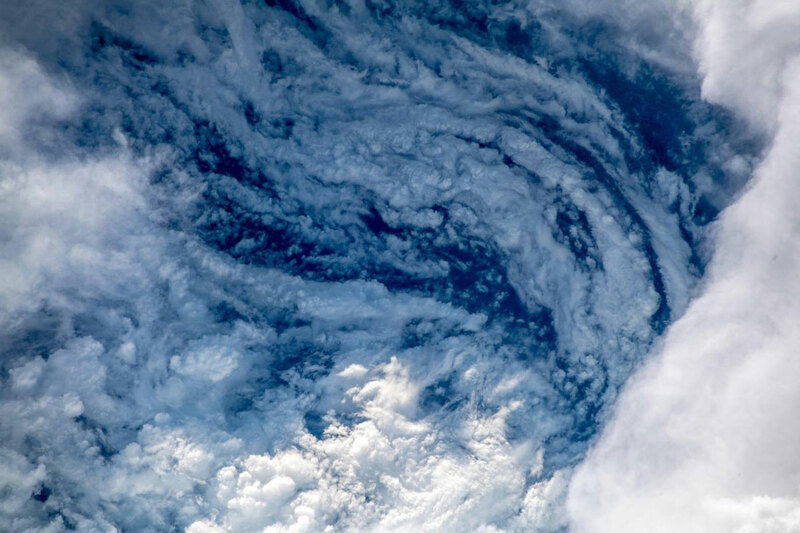 Cameras outside the International Space Station captured a stark and sobering view of Hurricane Florence the morning of Sept. 12 as it churns across the Atlantic in a west-northwesterly direction with winds of 130 miles an hour. 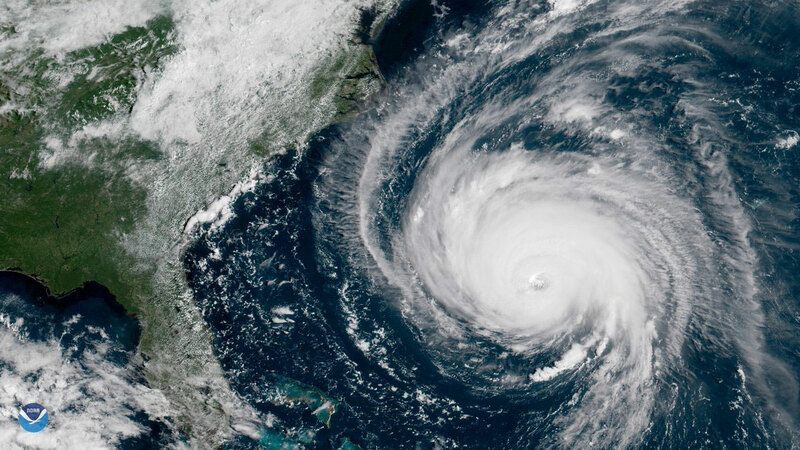 The National Hurricane Center forecasts additional strengthening for Florence before it reaches the coastline of North Carolina and South Carolina early Friday, Sept. 14.